Driving under the influence is a severe offense in the State of California, even when nobody is injured. Those who are convicted of a DUI often pay enormous fines and are required to serve some jail time and lose their license for varying lengths of time. Each case is different, and punishments may look different from one county to the next. While DUI laws change from time to time, one trend has held true, and that is the repercussions for intoxicated driving seem only to get more severe. This is especially the case for individuals who get more than one DUI citation in less than ten years. Such people face lengthy stays in jail and hefty fines that are sure to make an impression on any person’s wallet. In recent years, the use of ignition interlock devices or IIDs has become standard in many states, including California. 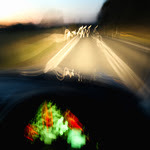 In 2019, Californians should understand that some legal changes are affecting both minors and adults who operate motor vehicles. Two laws, in particular, are worth noting. This law also allows those who receive a suspension under the Administrative Per Se law to obtain an IID-restricted driving privilege, and receive credit toward their required IID restriction period if they are later convicted of a DUI. These provisions apply to DUI violations that involve alcohol or the combined use of alcohol and drugs. They do not apply to drug-only violations. Additionally, courts have the discretion to order a non-injury first DUI offender to install an IID for a period of up to 6 months. If the court does not order IID installation, a non-injury first offender may apply for a driver license for IID restrictions or restrictions that allow them to drive to, from, and during their employment and to and from a DUI treatment program for 12 months. While .08 is the legal limit for adult drivers, California has a “Zero Tolerance” Underage DUI Law. People below the legal age to drink caught behind the wheel will face charges. Another law affecting Californians starting in 2019 pertains to the driving privileges of minors. Assembly Bill 2685 repealed Section 13202.7 of the Vehicle Code, a rule allowing juvenile courts to suspend, restrict or delay the issuance of a driver license of habitual truants or ward of the state for up to one year. Truancy no longer affects driving privileges, but the DMV makes clear that any suspensions or delays reported before January 1, 2019, remain in effect. One aspect of DUIs that most first-time offenders are unaware of is the DMV component of the offense. Intoxicated driving is a crime that is handled in the courts. However, the right to drive is managed by the DMV. There is a separate DMV hearing that DUI recipients have a right to, and it is essential that DUI defendants hire an attorney who understands the DMV portion of a drunk driving case. If you or your minor child is facing charges for driving under the influence, please contact the Law Offices of Katie Walsh. Attorney Walsh has the expertise to help you navigate the process and to help bring about a favorable outcome.